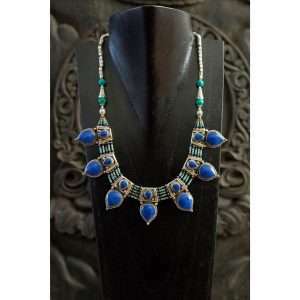 Hold your heart, as this stunning necklace will leave you spellbound with its mesmerising design. 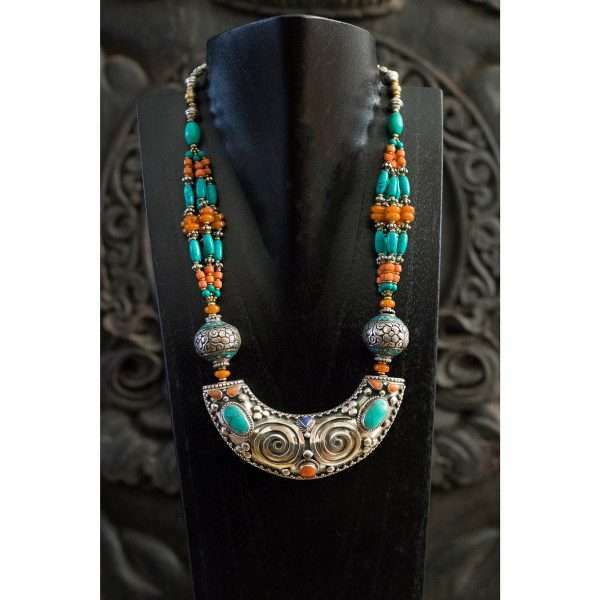 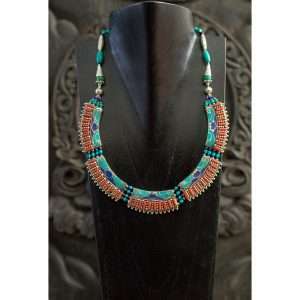 The textures and illuminating colours in this beautifully handcrafted Tibetan necklace create a stunning and unique style. A true eye-catcher around your neck.